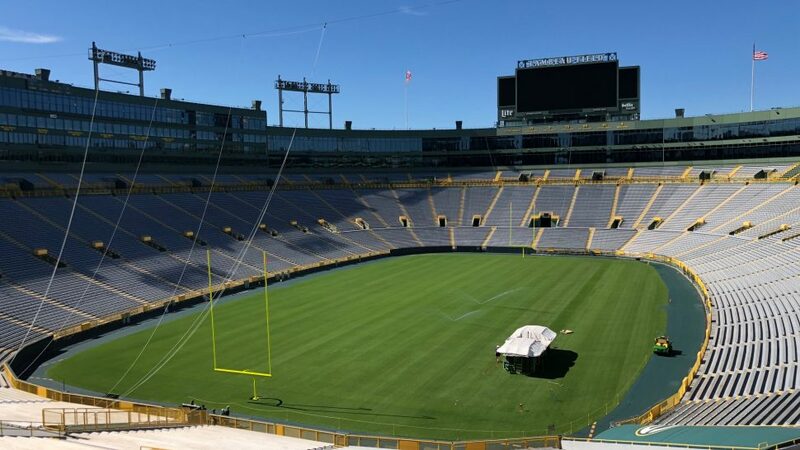 In July, SIS Pitches installed a brand new SISGrass pitch at Green Bay Packers, the first NFL team to trial this new hybrid technology. This technologically advanced turf system uses soft and durable polyethylene fibres which not only maximize player comfort but blend into the natural turf sward. The reinforced surface offers increased pitch stability and delivers considerably more playing hours than 100% natural grass surfaces. Since its inception in 2015 SISGrass has been installed on over 80 pitches worldwide including 6 out of 12 World Cup venues which makes this hybrid turf system one of the most prestigious sports surfaces in the world. The installation of the pitch was quick and effective, completed by one machine using laser guidance to inject the fibres into the pitch. 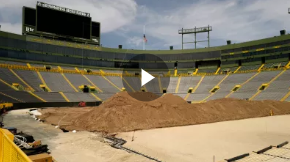 With this advanced technology the project was finished in 7 days, which is four times faster than the previous hybrid pitch installations at the stadium. We are excited to announce the completion of this pitch as our first SISGrass project in the US! Our SISGrass technology will significantly improve the pitch quality and recovery time so the surface will be more consistent and perform better which was the main objective for this client.